Kinnunen, M. Sahidullah, M. Falcone, L. Costantini, G., H., Rosa, T. Dennis, S., Achintya, Z.-H. Tan, H. Delgado, M. Todisco, N. Evans, H., Ville and A. L., Kong, ”RedDots replayed: A new replay spoofing attack corpus for text-dependent speaker verification research”, Proc. 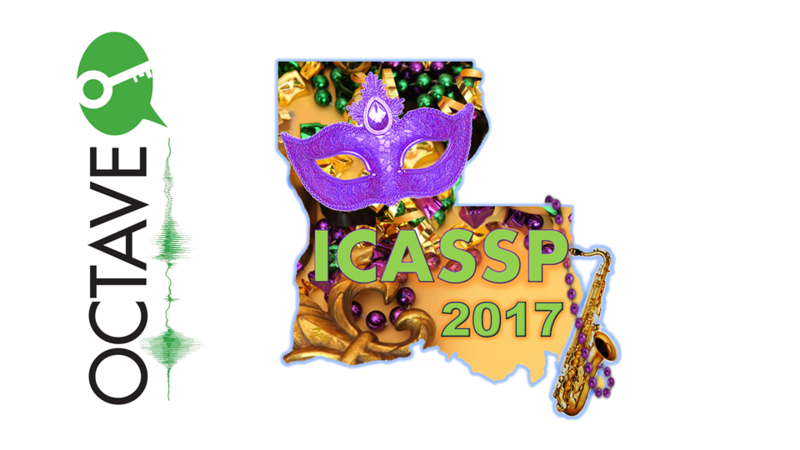 ICASSP 2017. Paul, M. Sahidullah, G. Saha, “Generalization of Spoofing Countermeasures: A Case Study with ASVspoof 2015 and BTAS 2016 Corpora”, Proc. ICASSP 2017. 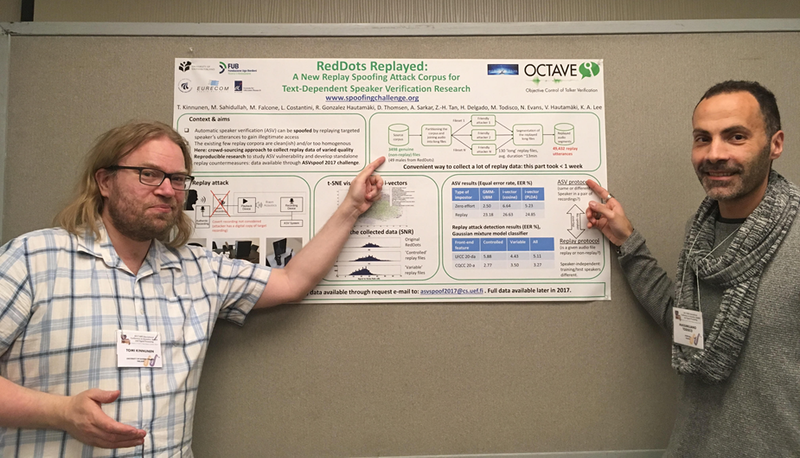 UEF and EUR presenting a poster of ‘RedDots Replayed’ corpus, one of the key datasets produced by the OCTAVE partners. 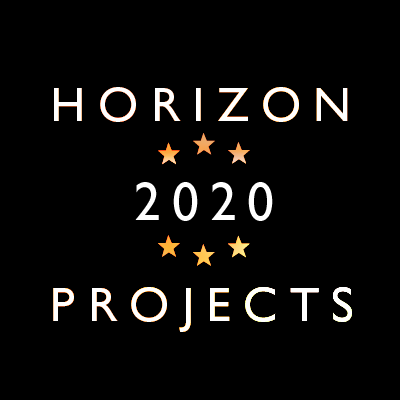 This data has been used internally by the consortium to develop advanced spoofing countermeasures, and part of the data has also been released as a development data of the ongoing “ASVspoof 2017 spoofing challenge” (http://www.asvspoof.org/), attracting participation from nearly 50 participants. In addition, an analysis of the electronic ICASSP 2017 proceedings indicated a total of 19 citations to 7 different publications produced by the OCTAVE consortium, so we see OCTAVE already provided research impact to the field.